Creating truly great products requires an entire product team to place the needs of users foremost when making product decisions—or even better, a user-centered corporate culture. An entire product team must consciously share responsibility for UX—or ownership of UX. product management—It’s the role of the product manager to ensure that the product team develops a viable product—the right product for the right market—with a business model that can lead to success in the marketplace. The product manager prioritizes marketing requirements and features, according to business goals and user needs. Today, user research, Web or other usage statistics, and usability testing ideally play a major part in defining digital products. User research helps us understand who our users are and how they work, as well as their wants and needs. Recording and analyzing usage statistics lets us better understand what users are doing with our products. Usability testing identifies problems users are encountering with our existing products. The product manager must also take into account technical considerations that impact either the cost of development or the likelihood of the product’s adoption by users. So the product manager’s success in defining the product customers or users need depends to a great extent on leveraging the knowledge of and working collaboratively with other members of the product team—particularly, the UX architect and system architect. Even so, the product manager is responsible for the product vision. user experience—UX is itself multidisciplinary. UX designers, interaction designers, industrial designers, information architects, information designers, visual designers, user researchers, usability specialists, accessibility specialists, technical communicators, and in some cases, packaging designers all play roles in creating successful user experiences for digital products. Once the product manager has defined the marketing requirements for the product, the UX professionals on the product team work collaboratively to conceptualize, design, specify, and prototype a digital product. Ideally, the UX architect involves all members of the product team in the process of conceiving a UX design solution—particularly the product manager, system architect, and user interface developers. Doing so ensures the UX team designs the right product for the market, engineering can build the product as designed and specified, the engineering team buys into the UX design solution, and the design gets built. However, the UX architect is responsible for all design decisions and the UX vision. engineering—The system architect and engineers keep the other members of the product team aware of technical factors that constrain the definition and design of the digital product. Software engineering also implements and tests features that facilitate the gathering of usage statistics, which will inform the definition and design of future versions of the product. The system architect develops a software design that optimally satisfies the marketing requirements. The engineering team develops a feature or product, according to the marketing requirements and UX specifications for that feature or product. Quality assurance plays an important role in ensuring defects that would mar the user experience are discovered and fixed before a product launches. If a product is not robust or its performance is poor, everything the product team has done to provide a good user experience will be for naught. It doesn’t matter that a product has the right features and is well designed if it just doesn’t work. Thus, it’s the responsibility of engineering to develop a sound system architecture and high-quality code for the product. Figure 1 summarizes how successful multidisciplinary product teams share the ownership of UX. Product management defines products that customers need and, therefore, have value to both customers and the product development company. By defining product requirements, product management provides the input the UX team needs to design products that are usable, useful, and desirable. 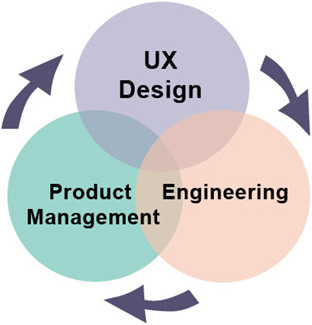 UX design specifications provide the input engineering needs to create real products. Engineering both constrains and realizes product requirements and UX design—what is possible and what’s not. Achieving all of this requires a team effort! If a particular discipline such as marketing or engineering dominates a product development corporation, the other disciplines often suffer. I’ve described a well-balanced, smoothly functioning product team in a healthy corporate culture. But what happens when the dynamics on a product team or between functional groups within a company are less than ideal or even dysfunctional? In those cases, teamwork and collaboration among disciplines suffers—sometimes to the point where using the term product team seems oxymoronic—creating barriers to the shared ownership of UX. According to Don Norman, “Thinking that one’s own discipline is the most important of all gets in the way of teamwork.” And if a particular discipline such as marketing or engineering dominates a product development corporation, the other disciplines often suffer. I’ve never encountered a company where UX dominated the culture to the detriment of other disciplines, but marketing-driven and engineering-driven cultures are common. In such cultures, a problem of balance that a company should solve organization wide affects every product team, and UX professionals must wage the same battles over and over again. In marketing-driven cultures where marketing, product management, and sales concerns dominate, there is often a desire to satisfy the wants and needs of customers. In marketing-driven cultures where marketing, product management, and sales concerns dominate, there is often a desire to satisfy the wants and needs of customers. In a company that does the user research and analysis that is necessary to truly understand users’ needs, this can create a culture that is sympathetic to and supportive of UX. Unfortunately, marketing-driven cultures often engage in feature wars with competitors. Sales demands the addition of features that will help them to close specific sales deals—perhaps to satisfy the demands of just one customer. Some product managers prioritize adding new features above all else, and the user experiences of their products fall prey to featuritis. Such forces are hard to resist, but it is incumbent on UX teams to do everything they can to dissuade product teams from creating products that are bloated with features most users won’t find useful. Kim Goodwin of Cooper once said, “Features are meaningless. They mean nothing to users. A coherent product user interface is the product to users.” She compared the results of developing products to satisfy lists of required features to the Winchester Mystery House in San Jose, California, which grew by accretion and has stairways that go nowhere and unexpected precipices. A dictatorial product manager can destroy all sense of the teamwork that would result in shared ownership of UX. On one occasion, I saw an all-powerful product manager refuse to have UX involved in a project at all, because his only concern was adding new features. His product was one of the most poorly designed products the company ever produced. In engineering-driven cultures, engineers have the ultimate power as the final arbiters of what goes into a digital product. In engineering-driven cultures, engineers have the ultimate power as the final arbiters of what goes into a digital product. After all, they’re the ones who actually build software products. In such cultures, products are commonly not implemented to spec. Engineers often feel free to “cherry pick a spec”—as Kim Goodwin has described this phenomenon—and implement only the parts of a specification they choose to follow. Or perhaps, as Luke Wroblewski described in his column on UXmatters, “Developing the Invisible,” what you “get back is half of the design. By half of the design I mean that all of the features, content, and functions are there, and they are working as designed. … What’s missing is what’s invisible: alignment and whitespace.” These are subtleties that some engineers do not appreciate or care to bother about. In such cases, UX designers are often forced to persuade individual engineering teams or even individual engineers to implement their user interface designs as specified. This can be a time-consuming process, so things may fall by the wayside when deadlines are tight. When designers do not succeed in getting their designs implemented to spec, the product user experience usually suffers, because, generally, engineers who think they know better what a user interface should be actually do not. The best one can hope for in an engineering-driven culture is that engineers are savvy about user experience, care about usability, and believe in user-centered design (UCD). If this isn’t the case, the UX team will have a lot of evangelizing to do. When UX has no representation on an executive management team, the unavoidable consequence is that UX will be subordinate to product management, engineering, or some other functional group within a company. When UX has no representation on an executive management team, the unavoidable consequence is that UX will be subordinate to product management, engineering, or some other functional group within a company. In such a case, the very existence of the UX organization within the company is dependent on the goodwill and sponsorship of another functional group. For any of a number of reasons—financial, political, or just a change in management—such a UX organization can lose its sponsorship and perhaps even cease to exist. Even if such dire consequences don’t ensue, UX is subordinate to a function with which it should be equal. This can make it more difficult for UX professionals to represent the best interests of users when conflicts arise on a product team between UX and the function to which it is subordinate—whether product management, marketing, or engineering. It might be difficult to get budget for staff or user research or usability testing. The concerns of both product management and engineering might overshadow those of user experience—simply because UX is the only functional group that plays a key role in product development, but has no representation on the executive management team. Perhaps no one at the table can effectively make the case for UX. When the management of a sponsoring group highly values UX, usability, and UCD and understands the need for the UX teams’ autonomy, UX architects usually have parity with product managers and system architects on product teams. The UX team might get all the staff it needs and budget for usability labs and UCD activities. Even so, a situation in which UX is subordinate to another group is less than ideal, because over time, things might change for the worse. “throwing documents over walls”—Rather than working collaboratively and iteratively on true product teams, product management throws a Marketing Requirements Document over the wall to UX, then UX throws a UX Specification over the wall to engineering. This is waterfall development at its worst. “information silos”—Rather than sharing information across all members of product teams with the goal of creating the best possible products, a competitive or even adversarial relationship exists between different functional groups, which silo information in a misguided attempt to create political advantage for their own groups. All of the problems I’ve described are likely to result in user experiences that are less usable, useful, and desirable. While product teams can overcome the cultural barriers that impede their ability to share responsibility for UX, product teams within a corporate culture that fosters shared ownership of UX are much more likely to achieve this ideal and create great user experiences. Creating great product user experiences takes a village—a smoothly functioning multidisciplinary product team that shares ownership of UX. This is the ideal. It is a team of equals, on which the product manager, UX architect, and system architect—who represent the three key disciplines on a product team—have equal voices. 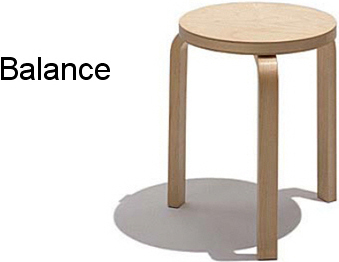 Balance exists between these three key roles, which together—like the three legs of the three-legged stool shown in Figure 2—provide the greatest stability and balance. The product manager, UX architect, and system architect make decisions pertaining to their own roles, but receive input from one another and from other team members in their disciplines, enabling them to make the best decisions possible. 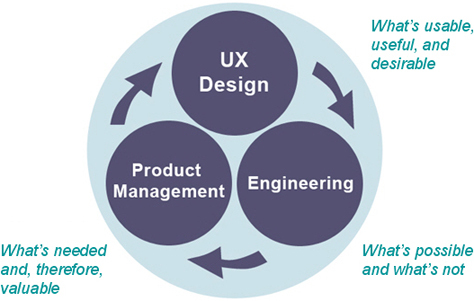 Product management, UX, and engineering share responsibility for UX—or ownership of UX. The three key members of a multidisciplinary product team—the product manager, UX architect, and system architect—work together collaboratively to define a product’s vision, functionality, and form. The product manager is primarily responsible for establishing the business goals for the product and envisioning a value proposition that satisfies those goals—defining the product and features that a specific market segment needs, differentiating the product from those of competitors, and devising a viable business model that can lead to success in the marketplace. 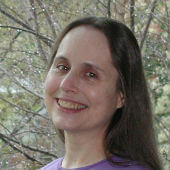 The UX architect is primarily responsible for analyzing the needs of the target users and how they perform tasks that relate to the product domain; envisioning a holistic product user experience that supports users in performing those tasks, while satisfying marketing requirements and observing technical constraints; and conceptualizing an optimal UX design solution. The system architect is responsible for devising a system architecture that optimally supports all of the product goals the product manager and UX architect establish and enables engineering to efficiently develop a robust, high-performance product. The product manager has primary responsibility for defining what the product can do and the scope of the product’s feature set, which to some extent determines what users can do with the product. UX is primarily responsible for the product’s interaction design, which determines the workflows for specific tasks, how users can perform specific tasks using the product, the product’s behaviors in response to user interactions, and at a more fine-grained level, what users can do with the product. Engineering is responsible for informing designers of technical constraints, implementing the product’s functionality as specified by UX, and ensuring that the product’s implementation has few defects. The product manager is primarily responsible for defining the product’s marketing requirements and features, which determines the product’s platform and overall form. UX has primary responsibility for designing the product’s visual user interface, which determines the presentation of the product’s functionality, expresses its task flows, and in some cases, the affordances that let users perform specific tasks. Engineering is responsible for implementing the product’s user interface as designed by UX and ensuring that the user interface has few defects. By working closely together in harmony, product management, UX, and engineering can achieve synergy, making the product user experience greater than the sum of their individual efforts, as shown in Figure 6. Outstanding article. The only piece I might add to the pie is visual design, if it happens to be a separate function in the organization—such as an agency. Rob—Glad you enjoyed the article. With my focus on applications, I was assuming visual interface design would be under UX. Though, it’s possible that visual design might be under marketing—particularly for a team designing a content Web site. Often, product management and marketing are part of the same reporting structure. When I was UX Manager at WebEx, some graphic artists who worked for marketing also did work for my team, so they were dotted-line reports into UX. In my experience, either UX or marketing usually hires consulting agencies providing visual design services. So, again, I’d place them under one of those groups. Were you thinking of visual designers working within a large design agency? I haven’t worked in that context. I’d be interested to learn more about your experience of visual design as an autonomous function within an organization. Insightful! Balance between those three areas is critical, but hard to achieve. The way vision, functionality, and form are divided among the disciplines here can go a long way to help. Also, collaboration within UX Design itself can be hard, because it’s often interdisciplinary—visual/graphic design, cognitive psychology, IA, and so on. But I think applying similar principles of balance—especially respecting each discipline involved—helps. Colleen—I’m glad you found my article helpful. While achieving balance between product management, UX, and engineering is sometimes difficult, I find taking a collaborative approach throughout a product development cycle is key. It’s much easier to work in harmony when each of these functions feels heard and can influence other aspects of the product direction. At the same time, it’s essential that it be clear who owns what decisions, because making decisions by consensus doesn’t work. “Today, many professionals working within the broader field of UX increasingly focus on specialized disciplines such as interaction design, information architecture, visual interface design, user research, and usability. Each of these UX disciplines has an important role to play in digital product design, and working in concert, we have a much greater potential for making a real impact on our companies’ products. “In a culture of collaboration rather than competition, there is a healthy cross-pollination of ideas among all the professional disciplines. Working in a milieu where team members respect one another’s expertise, but challenge one another’s ideas from the perspectives of their different disciplines, stimulates everyone’s creativity. 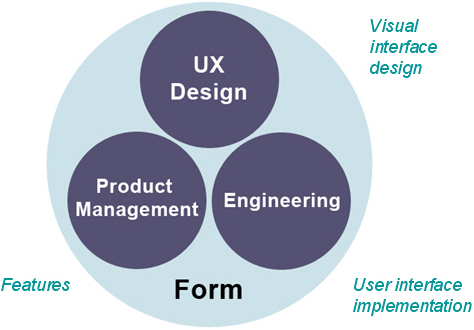 Therefore, to ensure a holistic user experience, one person should own UX design vision. And, in my opinion, unless it is a UX manager who plays the visionary role I’ve described on a product team, the person who is the keeper of the UX vision should be the UX architect, or lead UX designer. Having a UX manager who is not part of a product team assume that responsibility would destroy the product team dynamics that result in shared ownership of UX. Is there an optimal number and mix of team members and roles that work well for a product development team? My guess is: Any more than ten, and it becomes harder to manage. I understand this depends on the product complexity and scope, but it seems that on projects where the team becomes too big or there are more of one role than another, it starts to have an impact on the product being developed and its overall success. Daniel—I design Web and desktop applications, so I’ll answer your questions from that perspective. On software projects, the key members of a product team are typically the product manager, the UX architect or principal designer, and the system architect or software architect. These are the members of the product team who should make important decisions within their spheres of responsibility. On other types of projects, the mix on the team might be a bit different—for example, on a Web design project, there might be a creative director—but there are just a few key decision makers on a team. The number of people who should be involved in discussions that affect the user experience varies, depending on the stage in the development lifecycle. During early discussions, when the goal is to stimulate creative thinking and come up with lots of good ideas for potential design solutions, many members of the product team can participate. However, when the time comes to determine what solutions will best satisfy business needs, provide an optimal user experience, and take all engineering constraints into account, the decision makers should work collaboratively to determine what those solutions should be. By that time, the key members of the product team should already have gotten the input of more junior or more specialized members of the product team. However, if they find they need more information from other team members, they can ask them to join part or all of the discussion. Product teams for complex products might comprise hundreds of people. It’s obviously impractical to have everyone participate in all discussions. Though—taking a divide-and-conquer approach—different teams might be responsible for making decisions regarding different parts of a product. The reason for limiting decision making to just a few key people on a given team—say three to five team members—is to ensure an efficient discussion that results in a great product. Great products are the outcome of vision. As I’ve described in my article, the product manager, UX architect, and system engineer are the keepers of the product vision within their spheres of responsibility. Having everyone on even a fairly small product team participate in decision making would likely result in design by committee—never a good idea. The essential thing is that the influence of the various disciplines on a multidisciplinary product team should be balanced. For example, there might be one product manager, half a dozen UX professionals, and 50 software engineers on a project, but the influence of product management, UX, and engineering should be equal. Good point about different parts of the development cycle and when to draw people in. I have seen projects where, if too many people are involved at the wrong stages, the product can become unwieldy and the process of managing feedback difficult. Suggests, if you have a small, close core team, it may ease development through to the final product. To be nothing but mischievous, I tried doing a find/replace on the words product and UX in the role definitions of this article. The result is interesting. The role of UX sounds reasonable, but the role of product doesn’t. Quite what that means I don’t know. But enjoy. User experience—It’s the role of UX to ensure that the product team develops a viable product—the right product for the right market—with a business model that can lead to success in the marketplace. The UX designer prioritizes marketing requirements and features, according to business goals and user needs. Today, user research, Web or other usage statistics, and usability testing ideally play a major part in defining digital products. User research helps us understand who our users are and how they work, as well as their wants and needs. Recording and analyzing usage statistics lets us better understand what users are doing with our products. Usability testing identifies problems users are encountering with our existing products. The UX designer must also take into account technical considerations that impact either the cost of development or the likelihood of the product’s adoption by users. So the UX designer’s success in defining the product customers or users need depends to a great extent on leveraging the knowledge of and working collaboratively with other members of the product team—particularly, the Product Manger and system architect. Even so, the UX designer is responsible for the UX vision. Product Management—Product management is itself multidisciplinary. Product managers, interaction designers, industrial designers, information architects, information designers, visual designers, user researchers, usability specialists, accessibility specialists, technical communicators, and in some cases, packaging designers all play roles in creating successful user experiences for digital products. Once the UX designer has defined the marketing requirements for the product, the Product Managers on the team work collaboratively to conceptualize, design, specify, and prototype a digital product. Ideally, the Product Manager involves all members of the UX team in the process of conceiving a product—particularly the UX designer, system architect, and user interface developers. Doing so ensures the product team designs the right product for the market, engineering can build the product as designed and specified, the engineering team buys into the product, and the design gets built. However, the product manager is responsible for all design decisions and the product vision. I’m not at all surprised that putting a UX designer in a product manager’s shoes makes sense. Today, more and more UX professionals are expanding into UX strategy, which has many things in common with product management—especially with regard to understanding a product’s audience and their needs and defining the product to balance users’ needs with those of the business. Thanks to the data that UX professionals gain through generative user research, we can often contribute a deep understanding of users’ needs to a product team. I agree that something gets lost in the translation from product management to UX. I have a question regarding the UX team. Would the UX role include creating the HTML/CSS in support of the prototype, as well as the build? There seems to be confusion around this role when the user experience is handled in-house versus sourced from a vendor. Also, if there is a digital designer on a completely separate team, what would this person’s role be versus the role of the UX person? Hi Kim—Thanks for your questions. I wrote more about UX teams in my UXmatters article “Specialists Versus Generalists: A False Dichotomy?” By the time I wrote that article, my thinking had evolved, and I was—still am—convinced that front-end development should belong to the UX team—at least for Web and mobile application development projects. At one time or another, most UX designers have experienced difficulty getting their designs built as designed, especially in engineering-driven organizations. When User Experience owns front-end development, such issues don’t occur. Front-end development skills are now part of many UX designers’ toolkits, and more and more UX teams now include front-end developers. I’ve personally moved on from creating designs in Photoshop to creating them in HTML/CSS. It’s more efficient and results in a truer rendering of a design. Plus, if a UX team includes front-end developers who can build a somewhat functional prototype, it becomes possible to conduct usability tests to validate designs or iteratively improve them earlier in the development cycle. Regarding your question about “a digital designer on a completely separate team,” the answer really depends on that person’s skills, the type of project, and the breakdown of responsibilities on a particular project. But, for example, a graphic designer on a Marketing team who is working on a Web site plays a very different role from a UX designer who is part of a product team. They bring very different skill sets to their respective projects. Very, very insightful. Thank you very much for this article. In the article, you mentioned user research under both UX Design and Product Management. Assuming three key stakeholders in Product Manager, UX Architect, and System Engineer, would you place User Research / Usability Testing under the supervision of the Product Manager or UX Architect? From my experience, the tasks of both User Research and Usability Testing are usually assigned to the same person—that is, the Researcher. Nonetheless, it seems to me that User Research would make more sense to be placed under Product Manager and Usability under UX Architect. In the case where User Research and Usability Testing are conducted by the same person, would it make sense to have the Researcher under the supervision of two disciplines, Product Management and UX Design? If so, how should we prevent potential management conflicts like the issue of 1 person, 2 bosses? Lastly, how and what should multidisciplinary product teams use to determine how each task (User Story) should be prioritised? When we have team members coming in from different disciplines, there will be functional / departmental bias. For example, Design might want a beautiful and very intuitive Design. Meanwhile, Engineering claims the design will make the system very slow and unstable and asks for a simpler design. Product Management, meanwhile, is on the fence. In such cases, how should the product team decide? In the meanwhile, this could also apply to the decision-making process of doing Feature Improvements vs. New Features. Thanks for your comments and questions, Amarin. While Product Management, UX strategy, and UX design can all leverage user research in defining and designing products, user researchers should be part of a UX team and report to the UX leader within an organization. In my experience, Product Managers rarely have user research skills, and every UX professional should have the benefit of reporting to someone who deeply understands and can mentor them in what they do. Nor would I recommend their reporting to two different functions. The same people need not do both generative user research and usability testing. Some researchers prefer doing and have greater skills in one or the other. However, the limited number of researchers on most UX teams often dictates that they do both. Product Managers are responsible for setting the goals for a particular product release, including writing and prioritizing user stories. 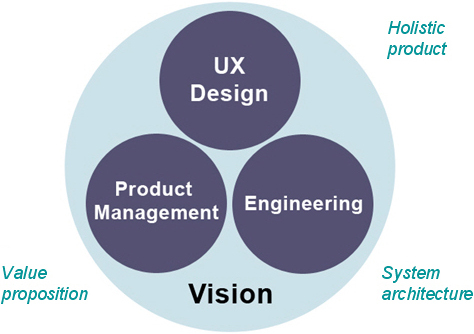 However, in the absence of a Product Manager, these responsibilities may fall to User Experience. (I’ve had to take on these responsibilities more than once in my career.) But the lack of a Product Manager on a product team is a serious problem. Every core product team should comprise a Product Manager, UX Architect or Lead, and a System Architect. Of course, the other members of a product team influence the prioritization of user stories and should be involved in the process of setting priorities. Factors such as scope, level of effort, and the ability to design a coherent solution impact prioritization decisions. For more details about this topic, read Mike Cohn’s books User Stories Applied and Agile Estimating and Planning. He discusses methods such as estimating size with story points or in ideal days, planning poker, and prioritization based on story theme, financial value, and desirability. What you’ve described is a dysfunctional team. Each discipline on a product team should understand the needs of the others, so truly collaborative, healthy product teams work through the issues together, without exhibiting much functional bias. However, in the rare cases where a team cannot agree, there should be a single person who is responsible for making specific decisions: the Product Manager would make the decision in this case. UX design decisions should belong to the UX Architect or Lead; Engineering decisions, to the System Architect. Not assigning specific types of decisions to specific people results in endless discussions and less than optimal decisions—or in the case of UX decisions, design by committee. In a situation where there’s a lot of UX design debt, the UX Architect should be responsible for defining usability or UX requirements for each release, ensuring progress on both refining the existing user experience and developing new features. Depending on the situation, these requirements might define between 25 and 50% of a release. Determining the right percentage is a negotiation between the Product Manager and UX Architect. Hi, A couple questions… I’d be interested to hear what has worked for all of you as I’ve done so much evangelizing, but nothing seems to get through. Thanks. How do you avoid programmers cherrypicking your design, and it’s either not communicated back why they decided not to do something or why they changed something or never added it to a future iteration? How do you respond when you provide feedback, and the programmer says, “But it works” and he does not want to change it, or “It’s just an internal system, so it doesn’t matter if it doesn’t look good or isn’t accurate to the design”? Evangelism takes constant repetition of your key messages and a lot of time. But more importantly, you can’t be the only one evangelizing UX. Your CEO or other business head needs to invest significant time in evangelizing UX as well. Without executive sponsorship of UX, your efforts won’t be as fruitful. Ideally, front-end development should be part of the UX team. You need to work closely enough with the developers throughout the development cycle that there won’t be any surprises at the end. If a developer comes to you with feedback on the feasibility of fully implementing a design, listen, ask good questions, and negotiate what’s doable in the timeframe. Be practical, but bear in mind that it’s sometimes better to push a feature off to a later release rather than sacrifice the integrity of a design. Each iteration and release should require signoff by User Experience. If the implementation is not as designed, it doesn’t get approved, and the developers will have blown the schedule. (This is one of the cases in which you need executive backing.) One the developers learn they can’t get away with cherrypicking, they’ll be less inclined to do it. With the right development skills, you can fix the look of a user interface yourself. In fact, you can create the CSS up front so the look is correct before development begins. User experience always matters, so even though you may feel like a broken record, stay on message and persuade people to do their best. If a particular development team is problematic and you have to power to do so, refuse to provide UX design to that team. If you can’t achieve the changes I’ve outlined here, find another company to work for that cares about user experience. Hey, Thanks so much for this post. I think it’s great to share ownership of UX as a way of improving the experience. I love that you included some tips for collaboration! This can be a great use of digital technology for important projects.